Parents, RECONGITION is March 10th -12th. It’s coming very soon and we’d like to help you give your Cadet something incredibly fun, delicious and different! 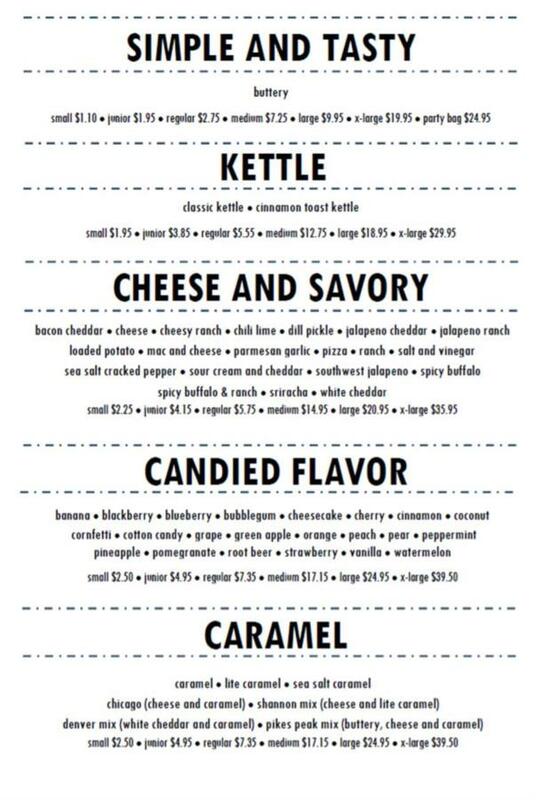 Cole’s Gourmet Popcorn offers over 60 amazing popcorn flavors. 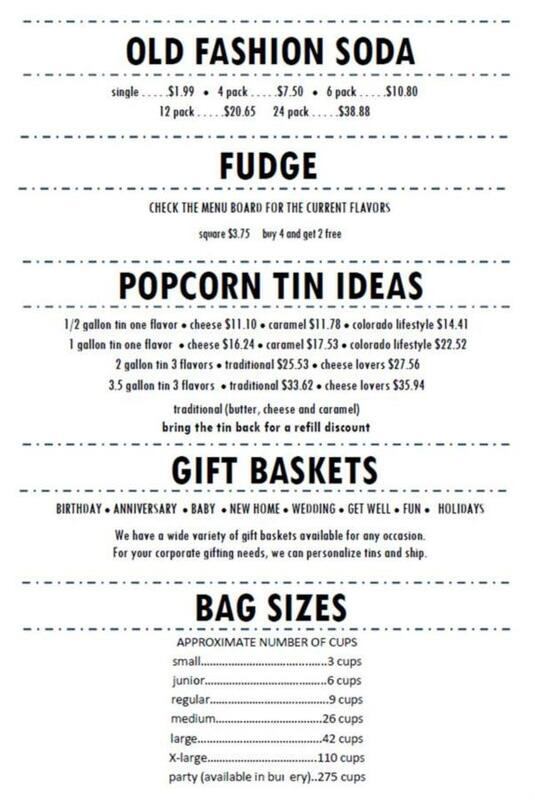 We are a local family owned business and we make all our popcorn and fudge. We create awesome and delicious gift baskets that are totally unique. You can purchase a gift card so they can come in and shop for themselves. We have them in any $$ amount you prefer. Sure to give your Cadet a fun shopping experience. Call Cindy at 719-434-1461 and order your gift basket or gift card today and we will deliver your gift! 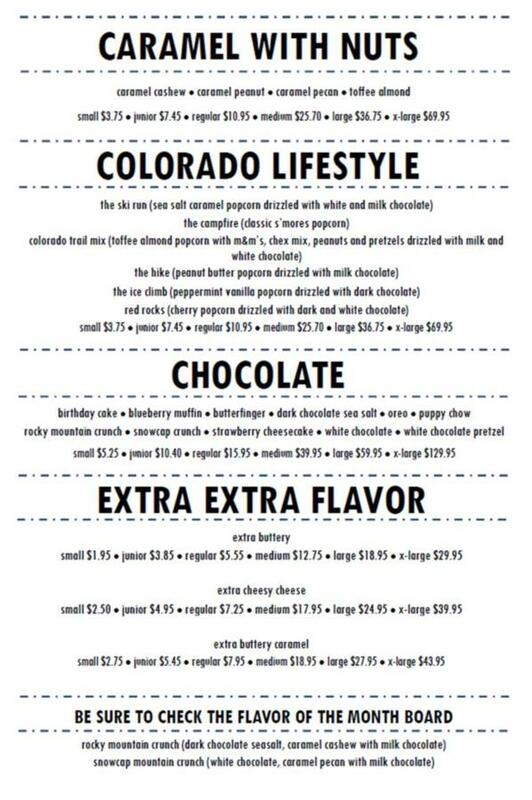 Also, be sure to check out their menu below!